The first time that "The World" wrote "Brexit"
CHRONIC. In November 2012, Arnaud Leparmentier wondered about the consequences of a possible British veto to the European budget. Archives. Angela Merkel traveled to London to lecture David Cameron. The crisis is over, the tenant of 10 Downing Street threatening to veto the European budget. Chick! We dream of the British Prime Minister turning words into action. That would be the irrigated sprinkler: the Community budget would be renewed on the basis of the 2013 budget ... and the United Kingdom would pay more in the Brussels caisses tomorrow than today. This is the plan B to which François Hollande very seriously reflects on the approach of the mother of the battles, which will be held on 22 and 23 November. In a great show, heads of state and government are expected to adopt the European budget over the period 2014-2020, the financial perspectives in the Brussels jargon. The Elysee would not be displeased to force David Cameron to a superb isolation. 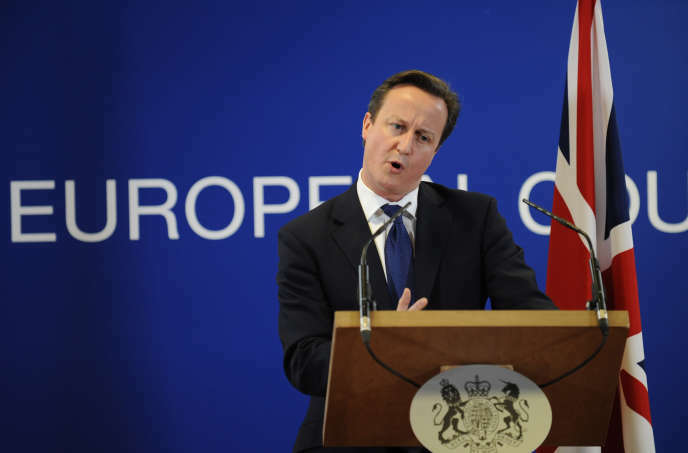 By dint of bidding, the British Conservative is overwhelmed by eurosceptics, right and left. Last week, the Labor MPs rejected with the most insular of the Tories a motion calling for the freezing of the European budget in terms of the expenses actually made in 2011: too soft for the Europhobes, which require a frank reduction. Since refusing in December 2011 to sign the budget treaty to save the euro, the United Kingdom is moving further and further away from the continent. We went from Grexit to Brexit, the expulsion of Greece from the British. And to add to the bad luck, the most pro-European MPs, the Labor Denis McShane has just resigned for 12 900 pounds sterling (or 16 000 euros) fictitious expenses. Before condemning English ideas, let's take a look at the European budget. We rub our eyes. We thought that the crisis had given Europeans a bit of ambition. We wanted to believe in the enchanted Europe of Daniel Cohn-Bendit. "The US federal budget was 1% in the Roosevelt election in 1932, 7% in 1945, and 23% today. By 2025, the budget should be increased to 5% of gross domestic product, financed by own resources , " the Greens boss told the European Parliament. For a quarter of a century, Brussels has poured torrents of aid to Greece, which touched up to 3.5% of its GDP, to Ireland, Portugal, southern Italy ... Nobody ticks ?